Almost 100 years before T. E. Lawrence returned to civilian life, a secret desert camp used by him - under his more famous nom de plume of "Lawrence of Arabia" has been found intact. Located in modern-day Jordan, the encampment was still littered with spent cartridges and broken gin bottles. Thanks to an RAF pilot's vaguely-sketched map, a team of archaeologists were able to find it - along with all of its historical treasures. Almost 100 years before T. E. Lawrence returned to civilian life, a secret desert camp used by him - under his more famous nom de plume of "Lawrence of Arabia" has been found intact. LOS ANGELES, CA (Catholic Online) - Used as a vital base by Thomas Edward Lawrence, who was the British intelligence officer who would pass into legend for his guerilla raids against Turkish forces in the First World War. The camp would have been lost to the ages, had it not been for a chance discovery in the National Archives. 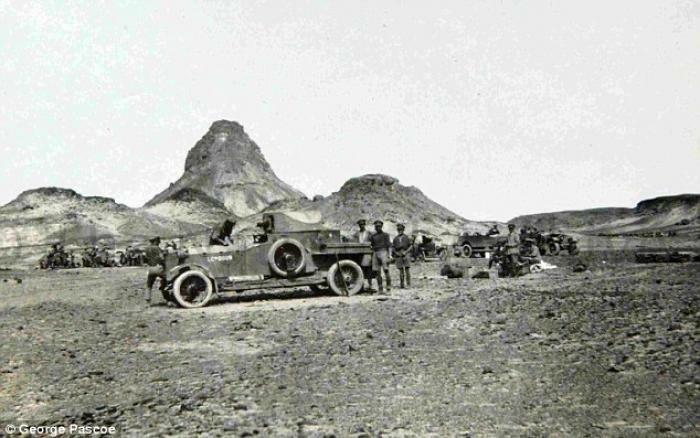 This photograph of an armored Rolls-Royce helped researchers track down a desert camp (pictured) from which Lawrence of Arabia launched guerilla attacks on German-allied Turks. An archaeologist at Bristol University, John Winterburn Found a loosely-sketched map from 1918 by a pilot who recalled the camp from memory after a reconnaissance flight. Light a virtual candle -- by going here! Scouring through Google Earth, Winterburn sought to find a part of the desert which matched the drawing in a 10-year investigation called the "Arab Revolt Project." 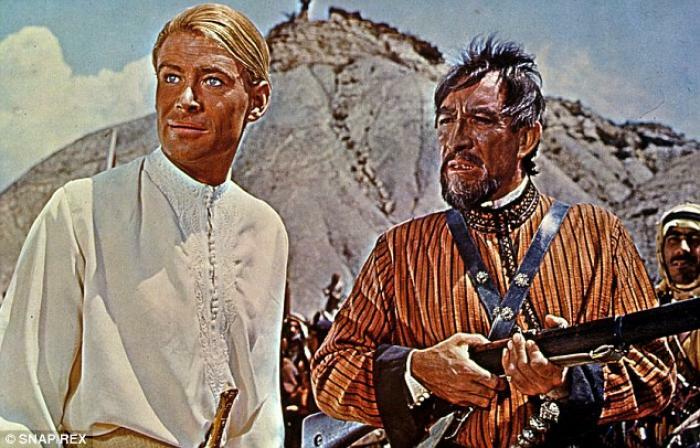 Peter O'Toole (left) played the war hero in the 1962 blockbuster Lawrence of Arabia. Winterburn found the small camp, which Lawrence described as "behind the toothed hill facing Tell Shahm station," in November 2012 exactly where he predicted it would be. 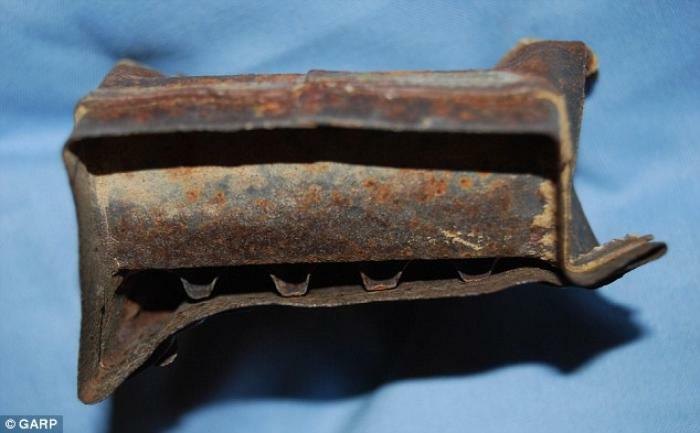 Winterburn along with his colleagues found ashes still in a camp fire and broken biscuit boxes strewn across the 100-yard square. "When you're talking about the field of modern conflict archaeology, it's the closest we can get to finding Tutankhamun's tomb," project director Neil Faulkner said. 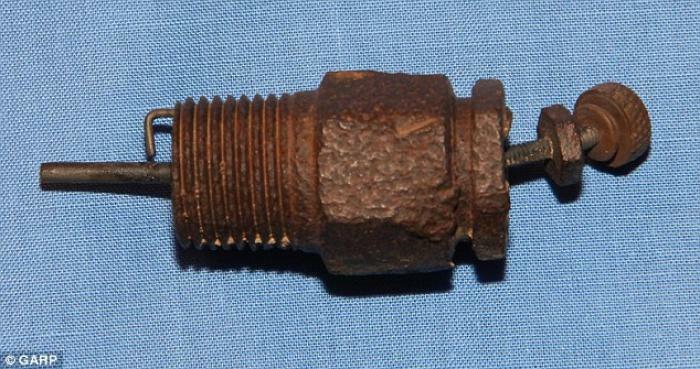 The archaeologists found a spark plug from one of the armored Rolls-Royces driven across the desert. "What was extraordinary was that we didn't expect to find anything on site. Our assumption was that we'd go there and find nothing but at least we knew where it was. "We were looking up at the landscape rather than down, then suddenly John said: "I think that looks like a broken rum jar . 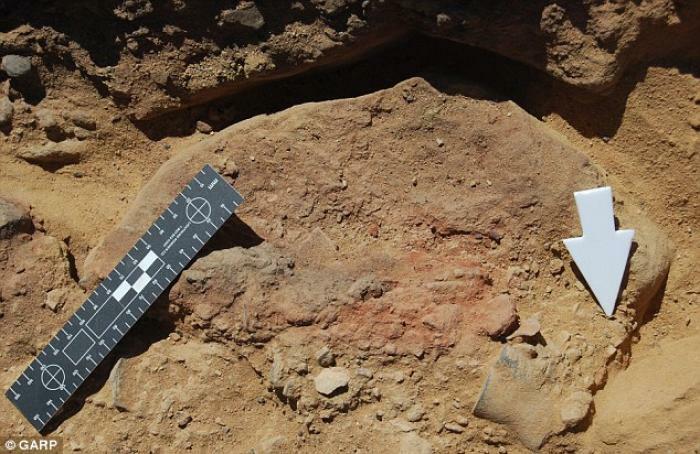 The whole site was meticulously excavated and recorded and we pieced together fragments of the rum jar into a whole. "It was incredibly exciting to be there and so very, very close to where Lawrence himself was. "In his book, 'Seven Pillars of Wisdom,' he has this very vivid description of eating bully beans and biscuits and drinking tea with condensed milk, watching the sparks rising into the night from the brushwood fire. We even found the ashes from that fire. It was astonishing." Another relic from the camp, which TE Lawrence would go on to describe in his memoirs. Winterburn says that finding the camp took him four years from start to finish. The breakthrough came, he said, when he combined the sketch map with a photograph of soldiers standing with armored Rolls-Royces next to a distinctive hill. "I immediately recognized what it could be and put the pieces together," he said. "I then used Google Earth to find a location precisely, and we logged the co-ordinates. The archaeologists tracked down the ashes from the soldiers' brushwood campfire, pictured. "We punched the data into a GPS receiver and marched across the desert, and there it was, exactly where we predicted. It's easy when you know how." 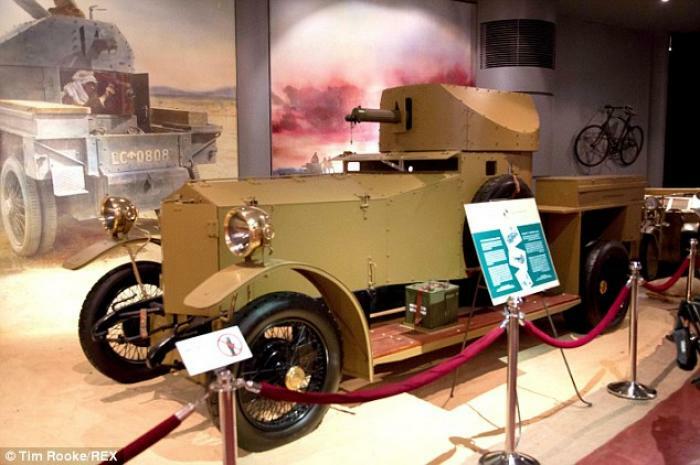 British forces had crossed the remote desert in an armored Rolls-Royce, pictured. "This camp had been used as a staging post for many for the epic raids on the Hejaz Railway at Tel Shahm and Mudawwara," Winterburn said. "Scattered in the desert floor was the remains of their last meals of rusty tin cans from Lowestoft and fragments of rum jars and gin bottles."